Watch out teachers, your students are coming for your jobs. But many educators are encouraging this as a way to get students to lead their learning in fun and exciting ways. “We have six teaching teams at ANI. Each team gets two planning days a term to plan for the next unit of inquiry and students attend these sessions. They have full ownership over the direction of their learning. 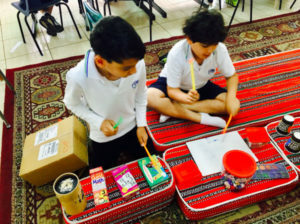 “Students’ ideas for provocations and what they would like to inquire into can differ considerably to teachers. But this approach and collaboration, allows us to deliver engaging and motivating lessons that are relevant and meaningful. Teachers can provoke and stimulate thought on local, national and global issues that are important to students’ lives. For example, students are currently working with a local homeless man to rebuild his relationship with his family for the ‘who we are’ unit; and building and creating outdoor furniture for students to work on after exploring properties of different materials for the ‘how the world works’ unit. “Engagement has increased and students are proactive and excited to carry out the inquiry process. We have also noticed increased levels in curriculum level attainment. In many cases, students are working at and above the required curriculum level across all areas. 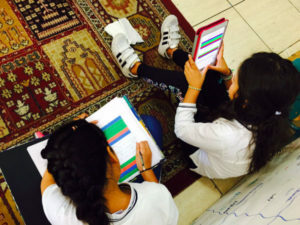 “Last year we set a new goal – to find new systems that allowed for more student voice and choice. 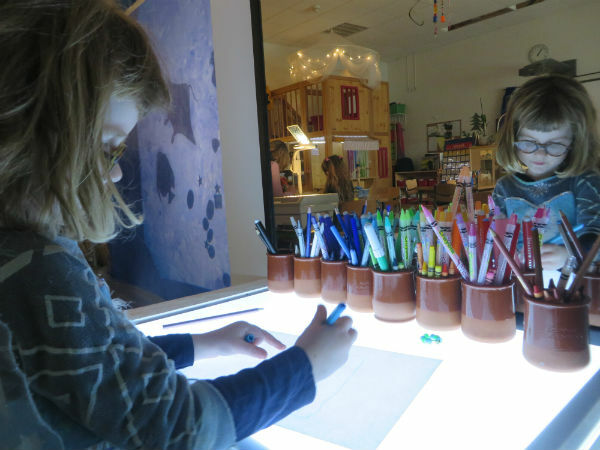 “We changed our thinking about our three separate classroom spaces and started to develop and see it as one large classroom environment that all the children could flow through, allowing them to connect with all the educators and opportunities each space had to offer. It’s a workshop of creativity. “Now we have an hour-and-a-half every day dedicated to ‘Open Inquiry’, which allows students to take the lead in their learning. “Every day, before Open Inquiry, each classroom has a quick group discussion about what learning happened the day before. The different focused spaces are listed for the children to see and they are invited to visit them. “They then spend over an hour moving through the spaces. 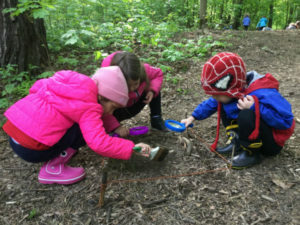 Educators start to take on very fluid roles, according to the inquiries that the students are partaking in – perhaps helping a group focus on researching an interest, or sitting back and observing and documenting children’s thinking. The resources are combined and shared. Once Open Inquiry time has come to an end, we drop what we are doing, don’t clean up, and head to the nearest carpet to join in on ‘reflection time’. Educators ask: ‘What did you think about today?’ After reflection and deciding on ideas for the following day’s play, we clean up. “Each week we visit the forest as a big group. This last month of school, we divided the children into four groups according to their interests while in the forest; we had the builders (those who always make forts with sticks), the explorers (those who love to stretch the boundaries and wonder what is over the hill), the scientists (those who are always looking for worms and slugs), and the artists (those who love the aesthetics of the place and gravitate to the chalk pastels and paper). Each group spent a week’s worth of Open Inquiry in the woods, building together, exploring the far reaches of the park, setting bug traps and grinding natural materials to make paint. My experience last year trying to support students’ agency was more of an individual risk-taking experience based on my own educational philosophy and understanding of the PYP. “I experimented with many different approaches. 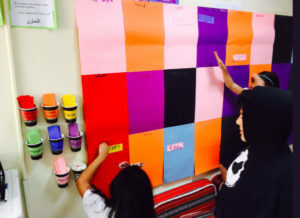 For example, students would help set up the classroom at the beginning of the year and chose how to arrange the classroom in a way that would support their learning. “Students reflected that being able to participate in decisions usually made by the teacher helped them feel like they had a voice. They specifically pointed out our classroom board where they could identify problems, ideas and questions. They explained how the routine we had each morning – going through the board and collectively solving problems, agreeing on ideas and answering questions – helped them experience more control over their lives. “Students also planned their own days, based around units. However on ‘Creative Thursdays’, they had ultimate choice over when, how and where to learn, and also what to learn. On Thursdays, they were able to truly pursue passions, interests and let their curiosity run wild. “As a teacher, I can honestly say it felt like a much more humane approach to education. I felt like I understood the children in my class not only as students, but also as people and for that reason I was able to build authentic and meaningful relationships with them and become a contributing part of their real lives, not just their school lives. Students were able to be themselves and speak their mind. 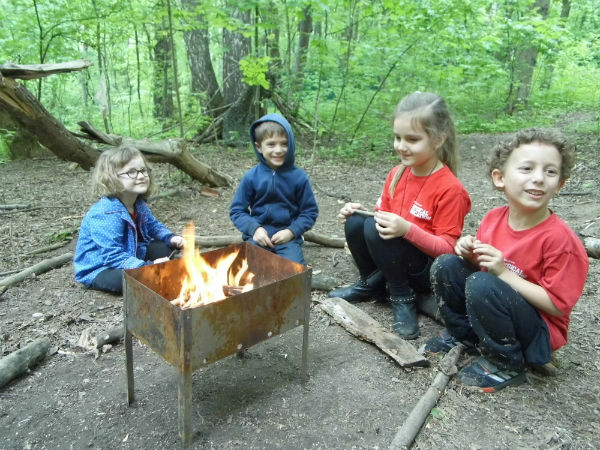 This allowed them to connect with each other and build friendships that I don’t think would have necessarily developed in other classroom environments. “Instead of a culture of permission, there was a culture of initiative and action. When students felt curious, they took the necessary steps to learn. When students saw a problem, they took the necessary steps to solve it. Calling all MYP arts teachers!